Sometimes winter can curb your adventurous side—cold weather, grey skies, and short days don’t exactly make for excellent conditions for a road trip. But this winter, things will be different. There is so much to do and see within striking distance of your new luxury apartment in Falls Church, VA, that even the dourest winter weather won’t be able to stop you. So get ready to feel inspired to open the front door and head out on these fun-filled winter day trips near Falls Church that are actually worth taking. Whether you’re doing some very last minute Christmas shopping or just want to take advantage of the winter sales, you can’t beat the Leesburg Corner Premium Outlets for a day out that you’ll spend (mostly) inside. It’s actually pretty close to Falls Church, so you’ll have plenty of time to load up on goodies from Le Creuset, Calvin Klein, Adidas, or one of their many other stores. Because they’re all outlet stores here, you’re bound to find everything you want for way less than what you’d pay at a normal mall too. If your idea of a perfect winter day out includes shredding up the slopes on a snowboard, tube, or skis, then Bryce Resort is the place for you. As one of the Southeast’s best family winter resorts, Bryce Resort is worth the almost 2 hour drive each way when the snow is good. Here you can enjoy all your favorite winter sports without having to take any vacation time to visit a mountain resort further afield. Not only is Mount Vernon home to one of the Best Holiday Events Near Falls Church, but it also makes for a fantastic winter day trip. You can practically feel the history flowing through George Washington’s estate and the grounds themselves are especially beautiful when covered with a blanket of snow. 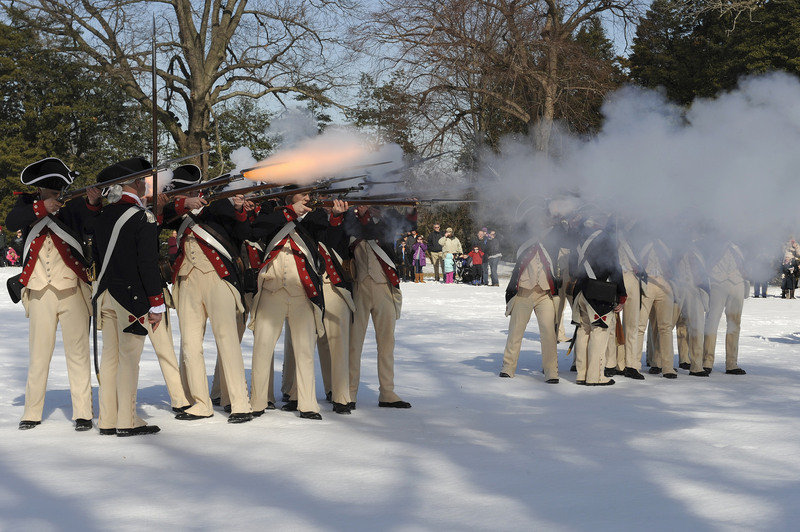 There are loads of special events running through the winter at Mount Vernon, such as New Year’s Eve at the Mount Vernon Inn, a beer dinner at the Inn, and fireside tea with “Lady Washington.” Plus, the crowds during winter are much smaller than at any other time of the year, so you can see much more in much less time. Towns don’t get much more historic than Fredericksburg, VA. With 40 square blocks of restored colonial buildings filled with boutique shops, restaurants, and more, there is so much to explore in Fredericksburg even during the winter. It’s also allegedly one of the most haunted towns in the United States thanks to its long history of slavery and war, so be on the lookout for any ghouls, especially during the creepier winter months. Speaking of history, the Fredericksburg & Spotsylvania National Military Park surrounds the town for those who want to explore four key Civil War battlefields. Get over the winter blues and treat yourself this winter by taking a day trip to Spa Minerale at Landsdowne Resort. This 12,000 square-foot day spa in the heart of DC’s wine country is one of Northern Virginia’s best. Relax by the warmth of the fireplace in one of their lounges, steam yourself in a luxury sauna, or go for a full body massage. The choices for pampering are endless at Spa Minerale. From shopping to skiing to spa days, there is so much to do near Falls Church this winter that you’ll feel inspired to get out and take a day trip to any one of these five great destinations. While you’re at it, stop by our leasing office at West Broad to learn more about the latest and greatest luxury apartments in Falls Church, VA. Pre-leasing has begun, so contact us today to find out more before it’s too late.